Sorry for the long silence. I haven’t posted in over a month. This wasn’t my intention. 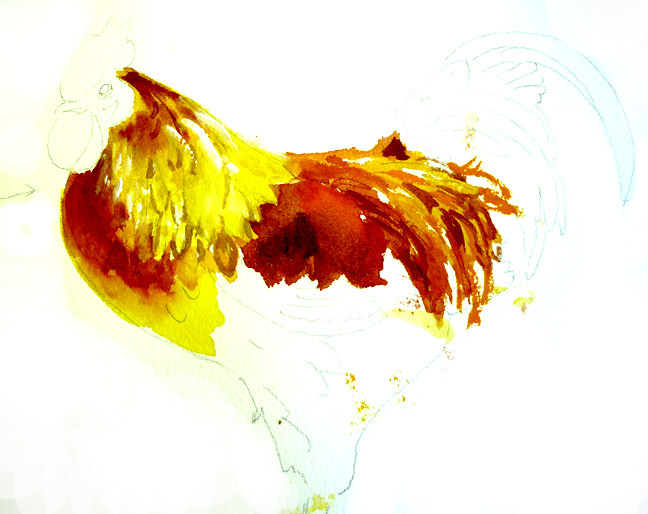 I got all involved in painting roosters for a new project. But I am crowing again! It has a wonderful rich feeling, thicker than most flats with a rounded edge. 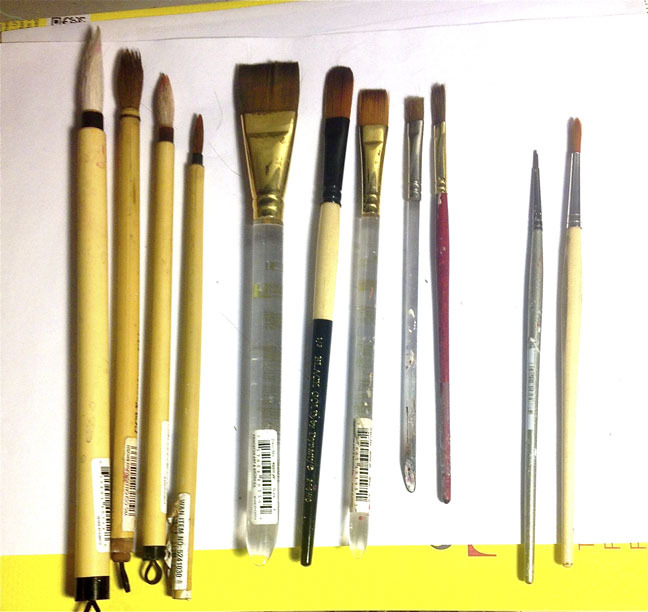 Once I found my reference (after looking at many photos) I did my drawing and was ready to begin the really fun part, the painting. 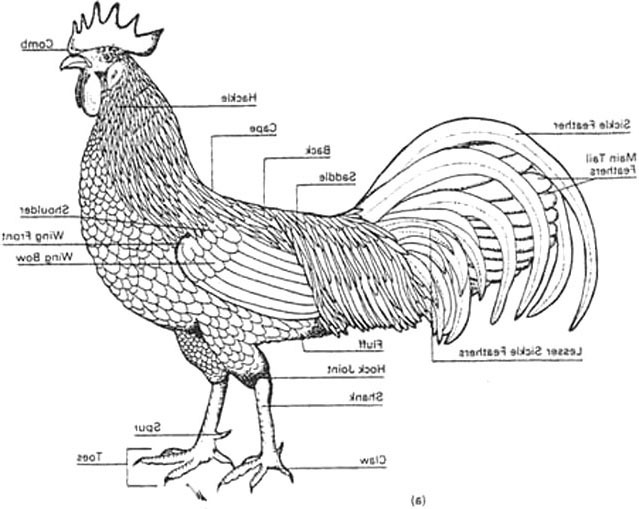 ; But first I found a diagram of the feather groupings which are very complicated in roosters. This was extremely helpful.Once I studied them I could go to town and just have fun. 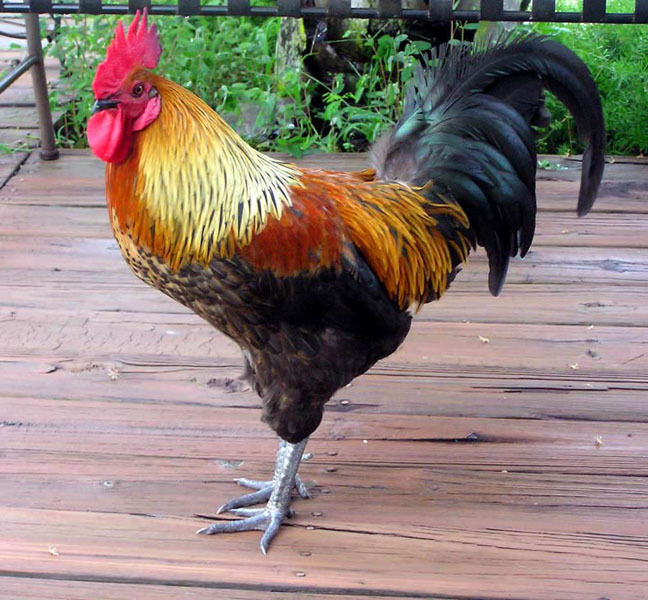 I found a wonderfully colorful Bantam photo.I named him Chuck just to keep it personal. 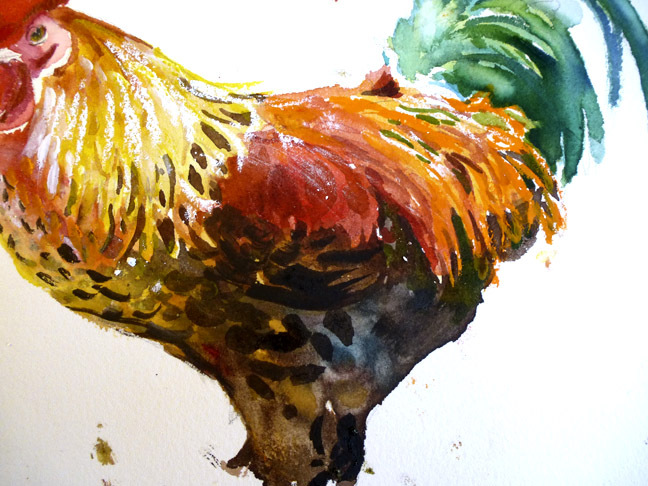 Firs I laid down loose washes for some of the major feathers. 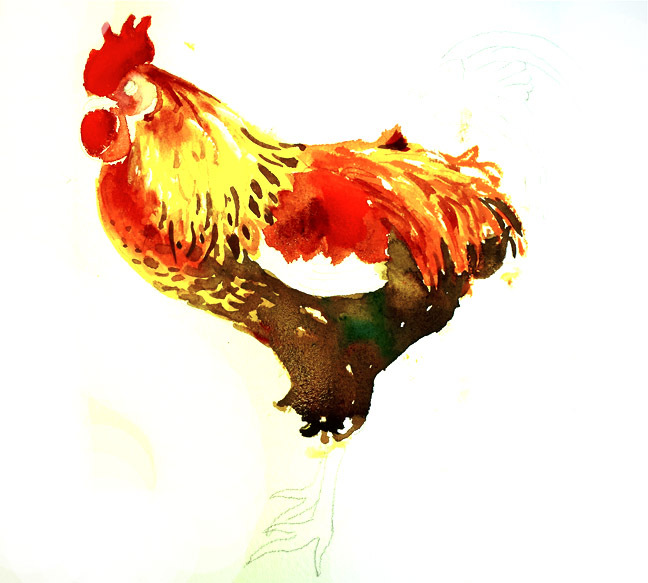 I would love to see a rooster preening and curious as to how long it takes to do a good washing. LOL no pun intended! I added the head and some feather details and the lucious dark brown body feathers. Took this stage a little further with more feather details and added some pastel. It was so much more fun to use the pastels with the watercolors. I can’t wait to add more mixed media to my painting. Then for the finishing touches. 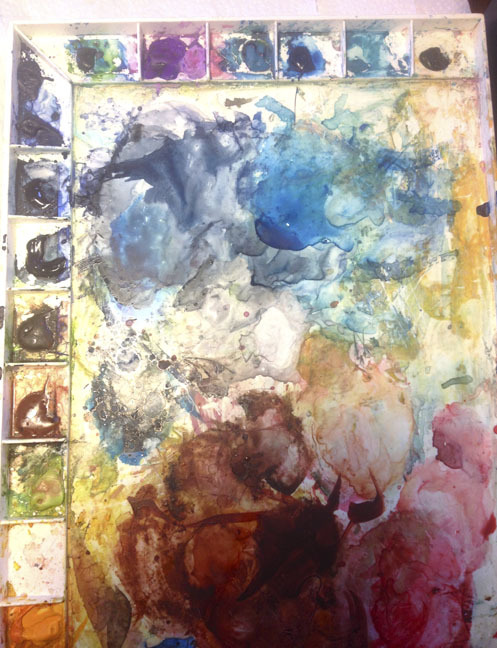 My palettes always have this look I call it messy. But that’s the way they always end up. Everyone has a different looking palette. It’s kind of like a thumb print! I always have great company while I am painting. 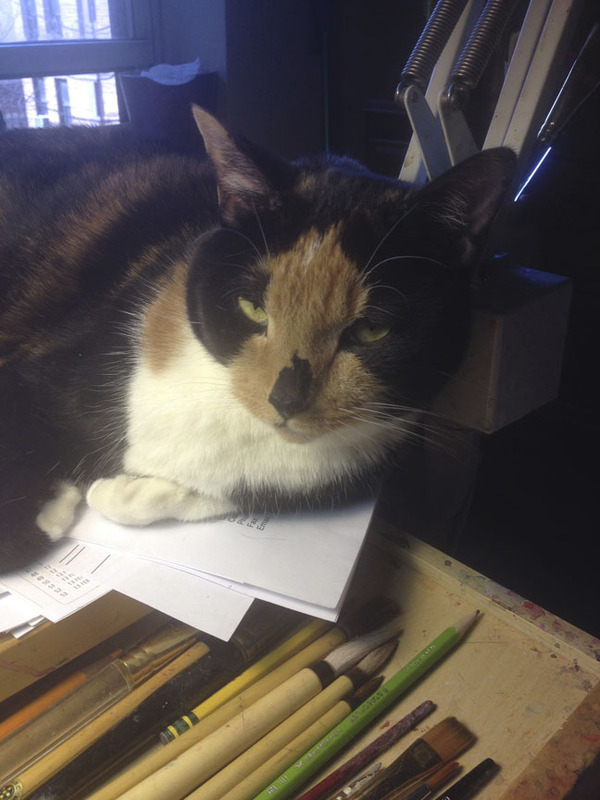 Louisa May is truly a painter’s Cat. 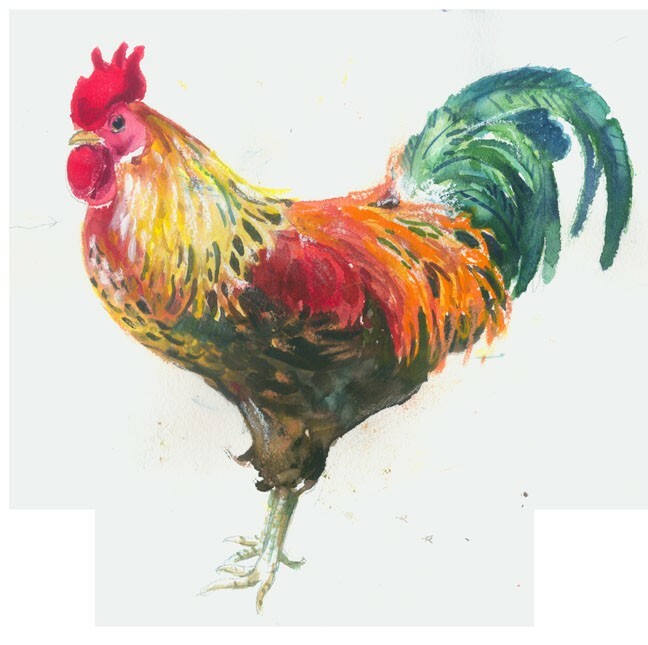 The 4 rooster paintings (finalists) and the designs that Dennis and I came up with are now complete. My next post which is coming on the heels of this one (or the spurs!) will be out very soon. And I have earned another feather in my cap!